Officers from Police Scotland have discharged a Taser while arresting a 45-year-old man in the east end of Glasgow. The incident took place in Green Street in the Calton area of the city. The man was taken to hospital as a precaution but did not require further treatment. A 45-year-old man has been arrested in connection with an alleged firearm offence and is expected to appear at Glasgow Sheriff Court. 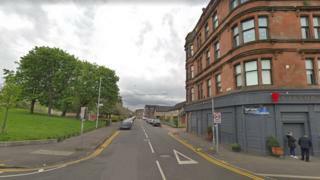 A statement issued by police said: "Police Scotland confirm at 10.35pm on Saturday that officers discharged a Taser while affecting the arrest of a 45-year-old man in Green Street, Calton, Glasgow.